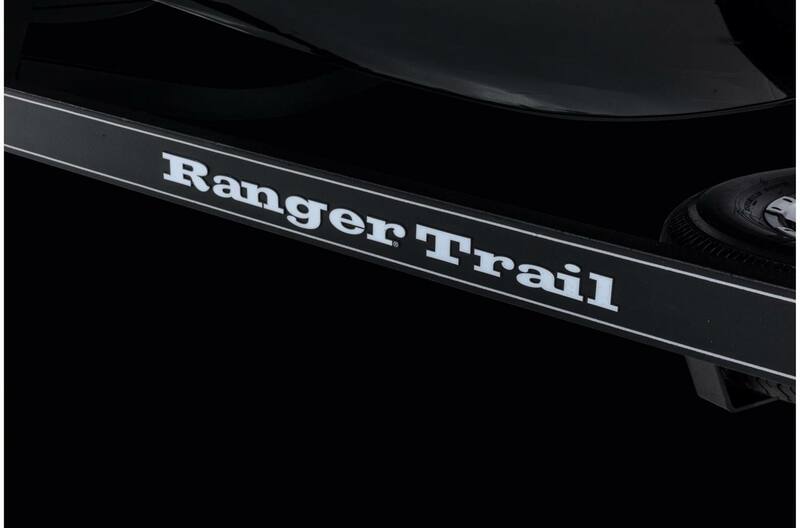 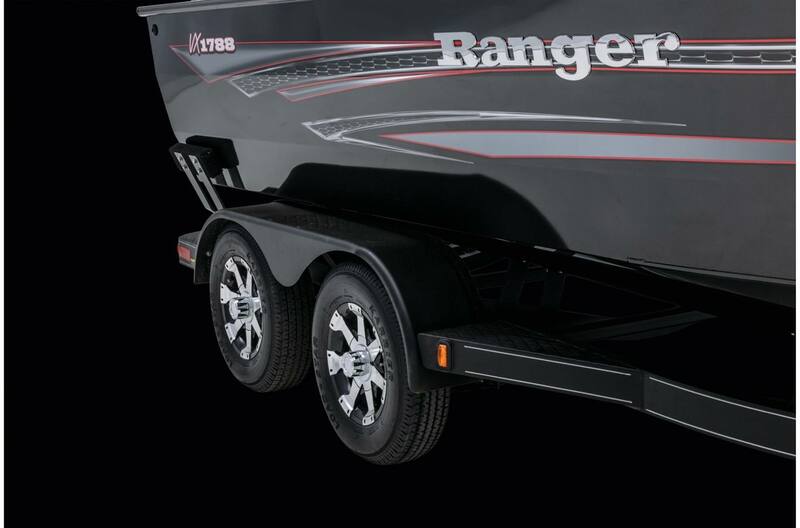 2019 Ranger VX1788 WT with Mercury 175 XL Pro XS and Ranger Trail Trailer. 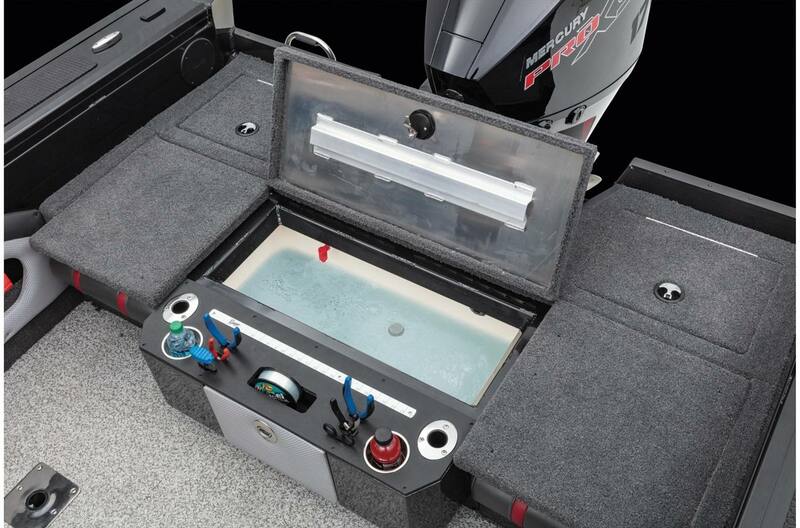 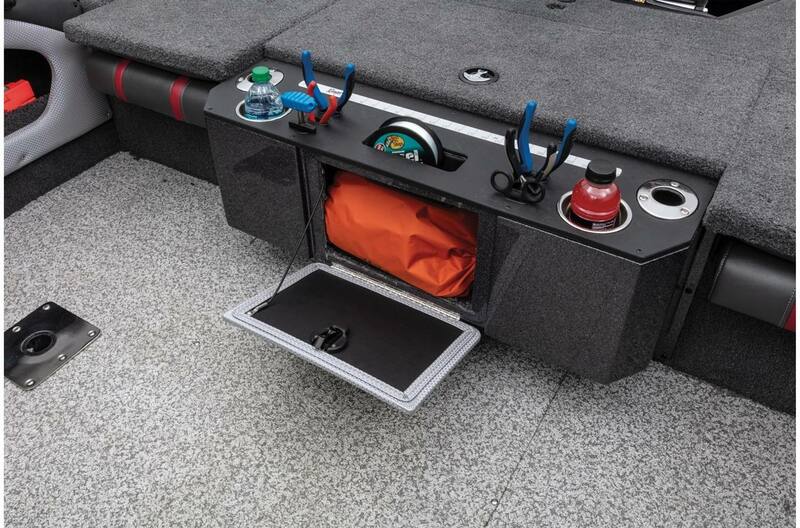 Dealer added auto bilge pump, Lowrance Hook 2-7 at bow, Lowrance Hook 2-7 at console, 15x3 bank charger, Minnkota 80/US I Pilot, 2 batteries, 2 barrel seats, extra fold down seat, stand up top, ski tow installed, deluxe boat cover, SS boat buckle tie downs, 14" aluminum spare. 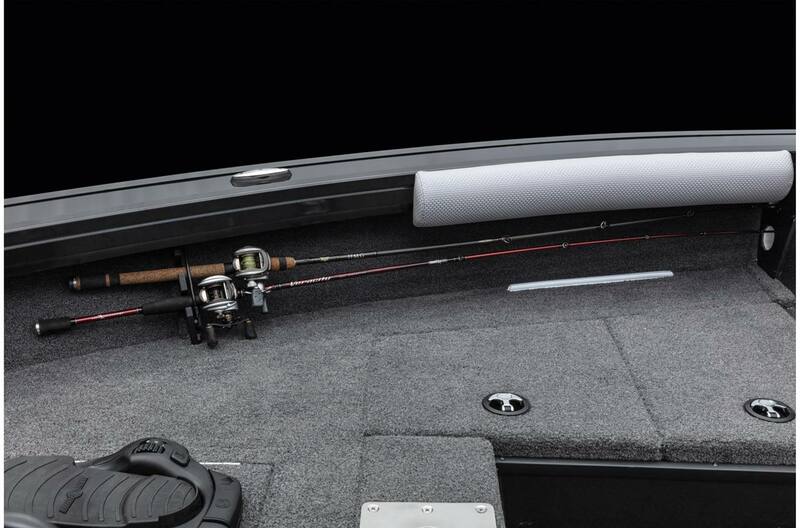 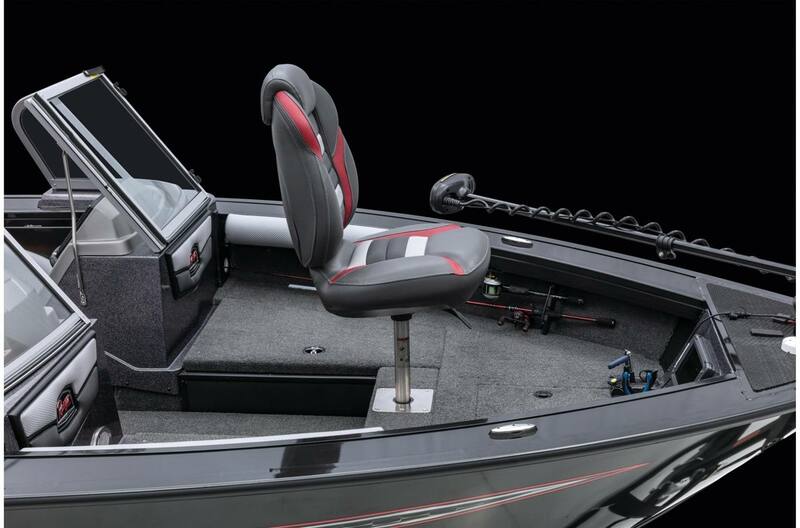 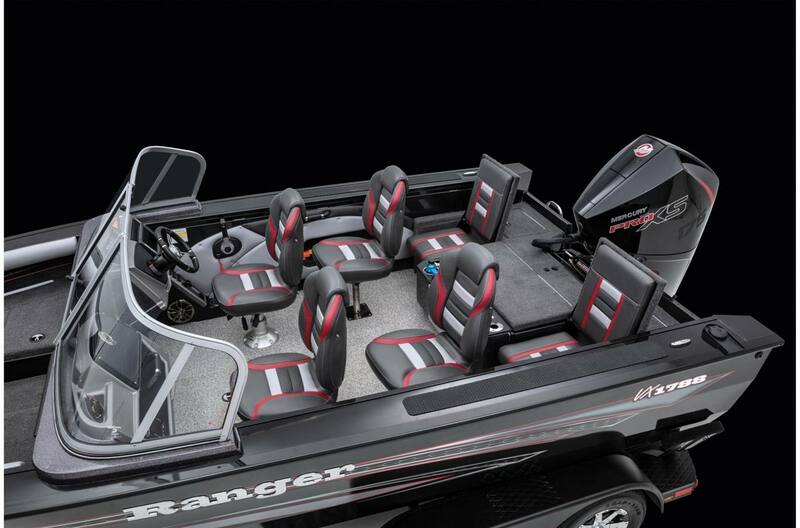 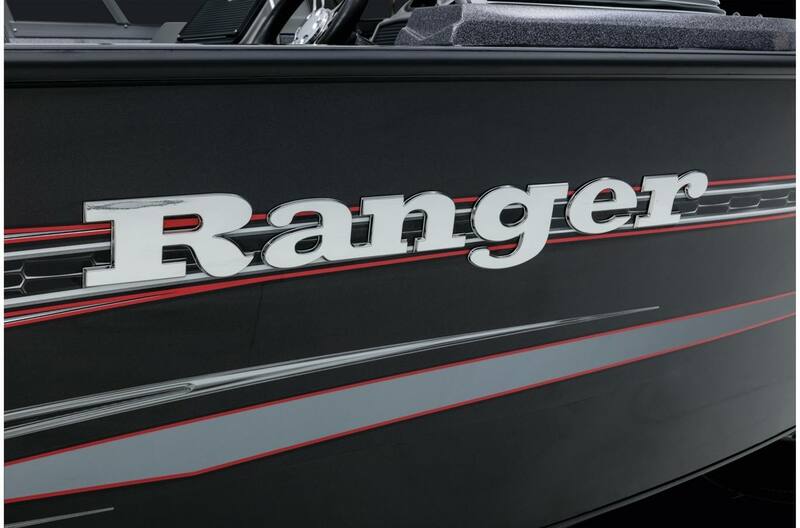 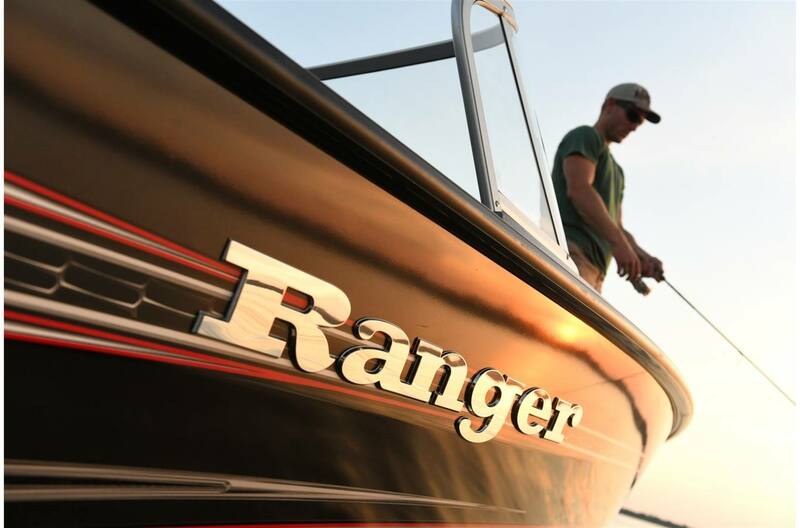 The all-new Ranger® VX1788WT is the answer for the family who wants it all: fishing chops with all-day comfort, enviable features and maximum value. 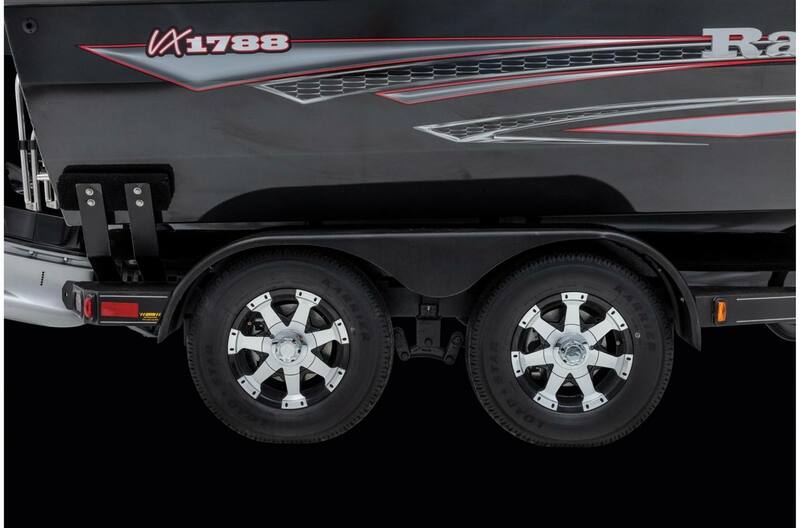 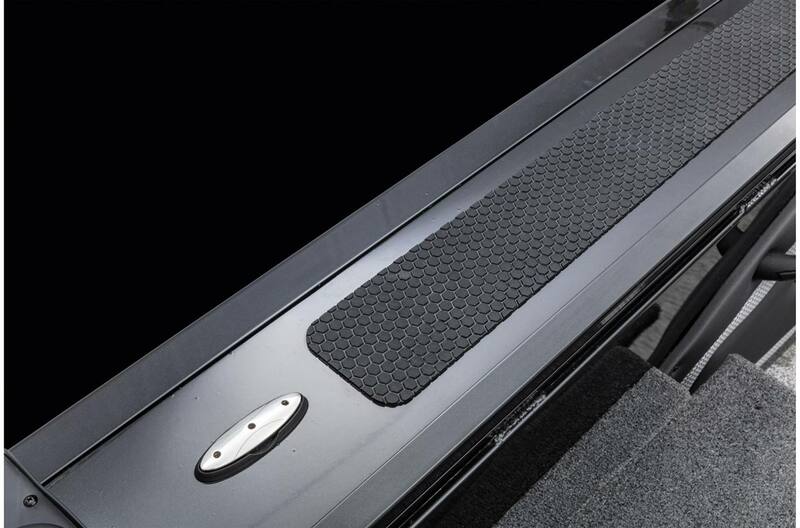 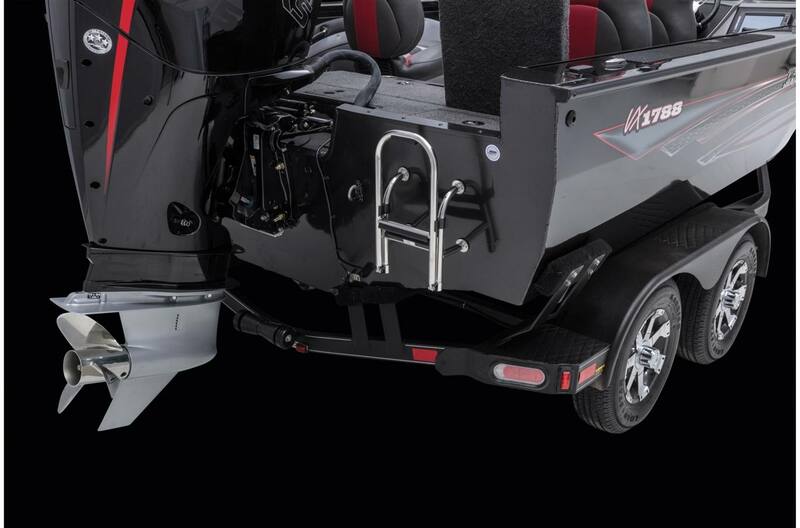 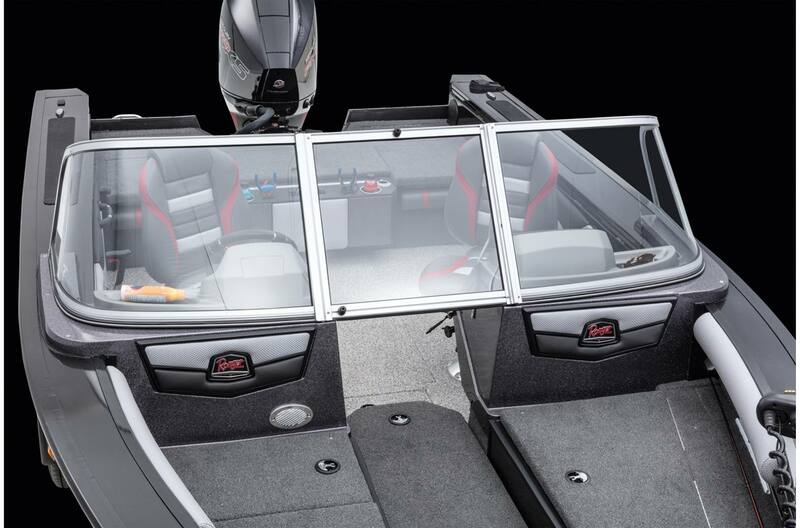 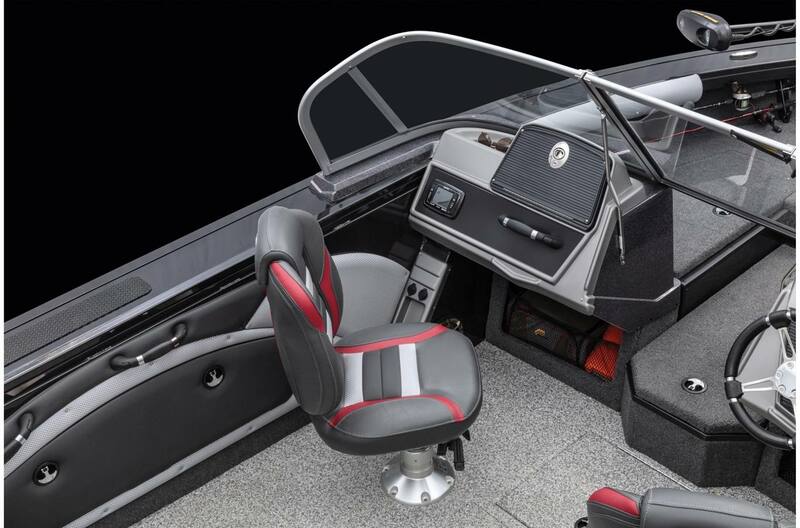 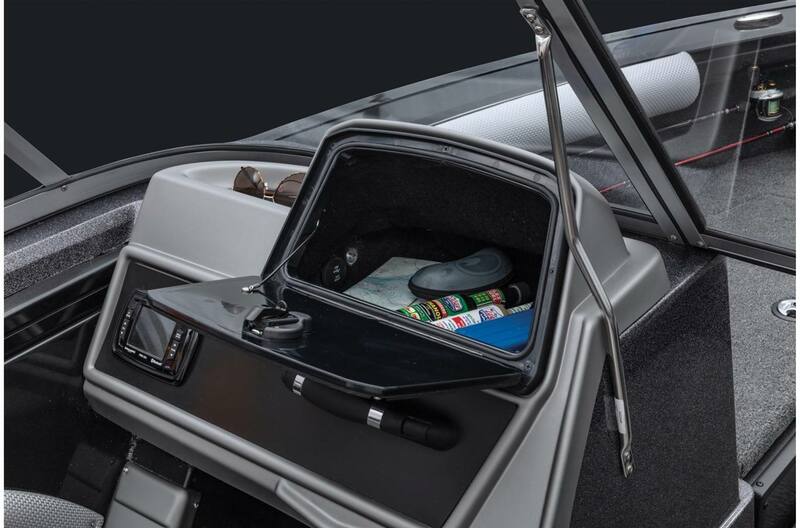 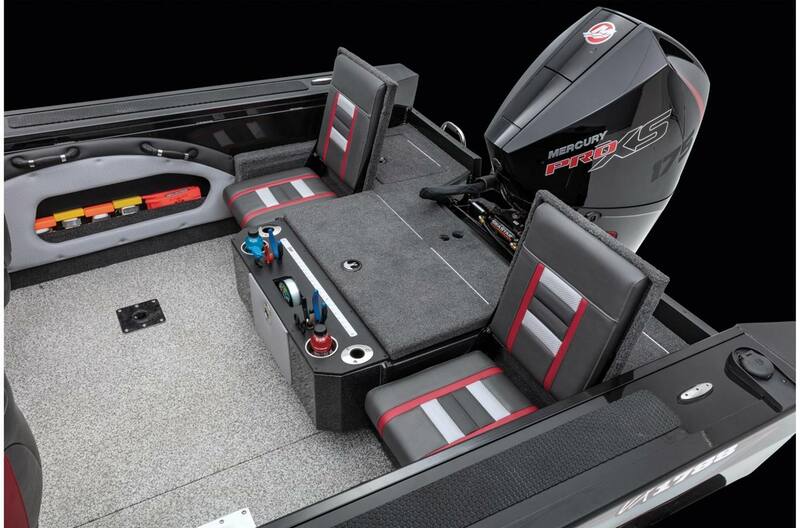 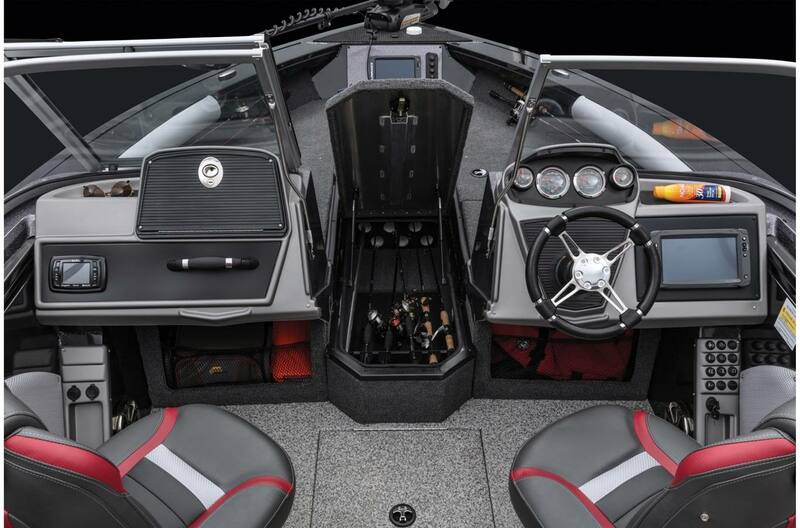 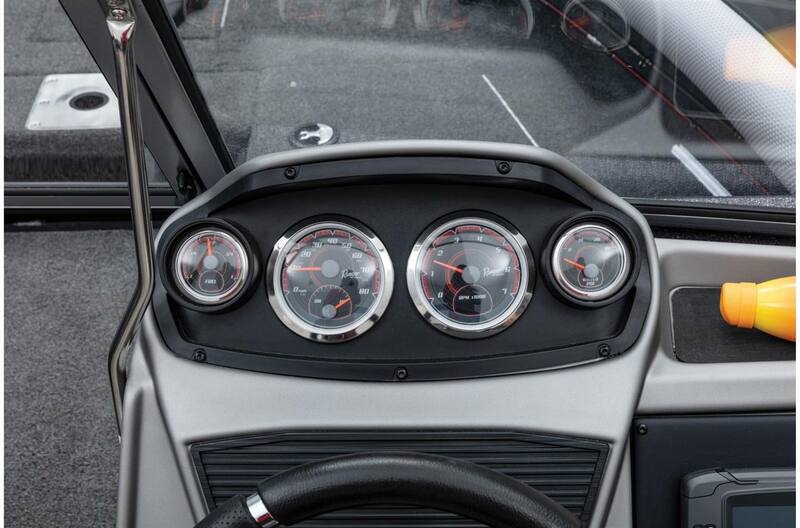 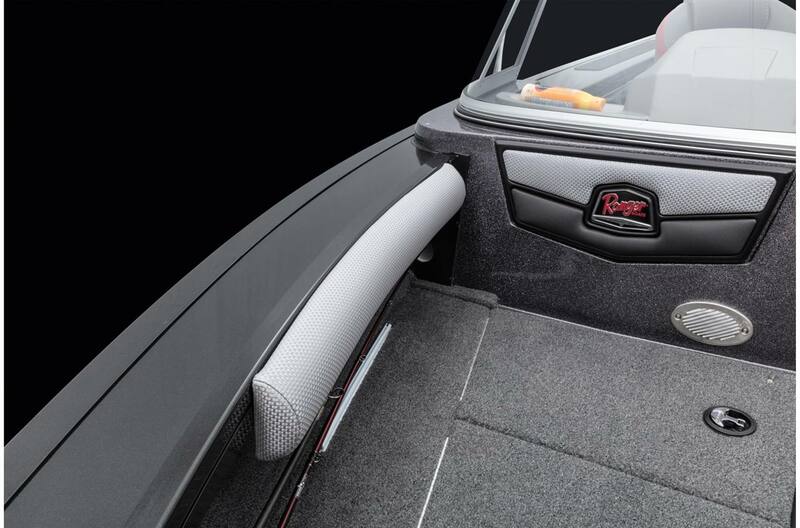 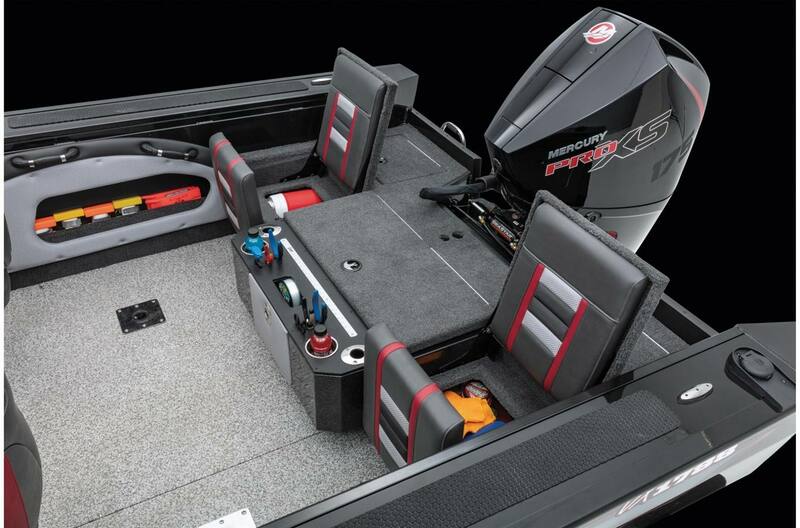 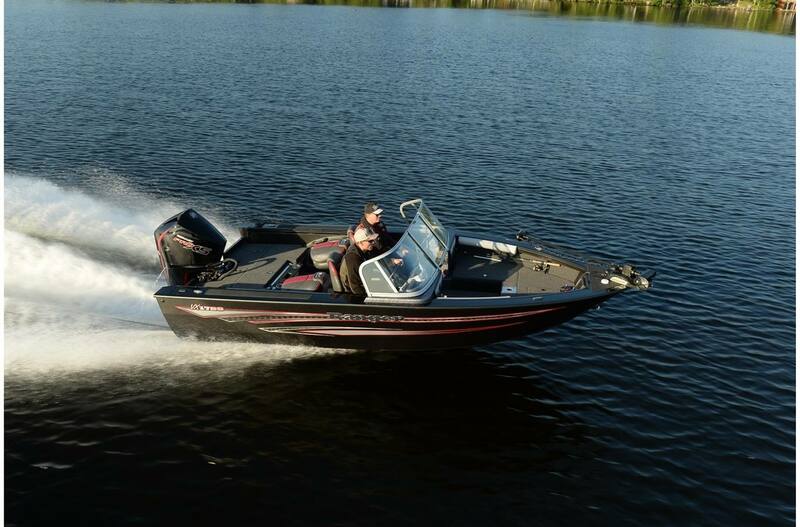 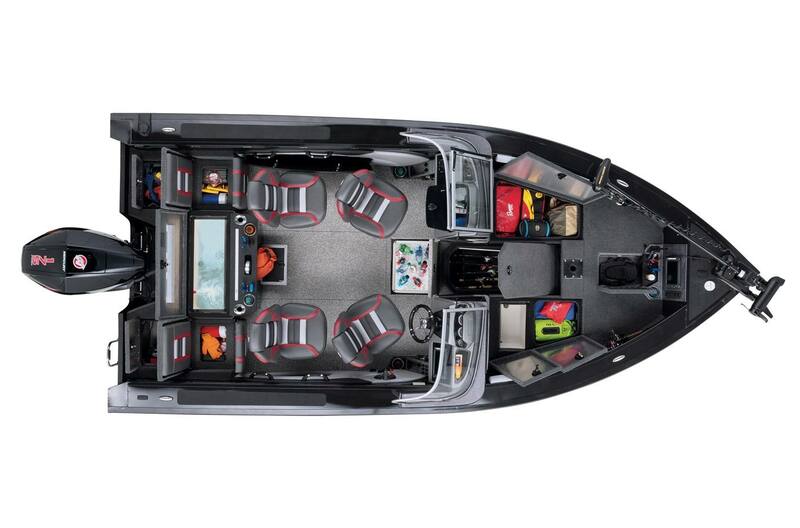 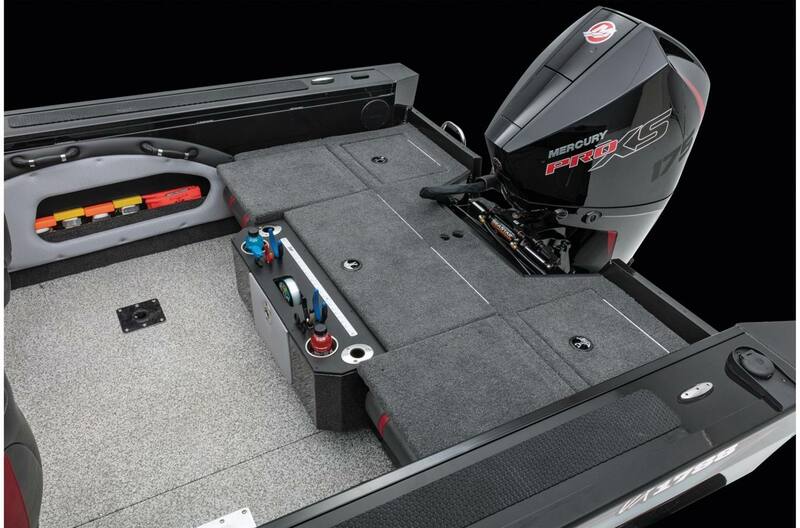 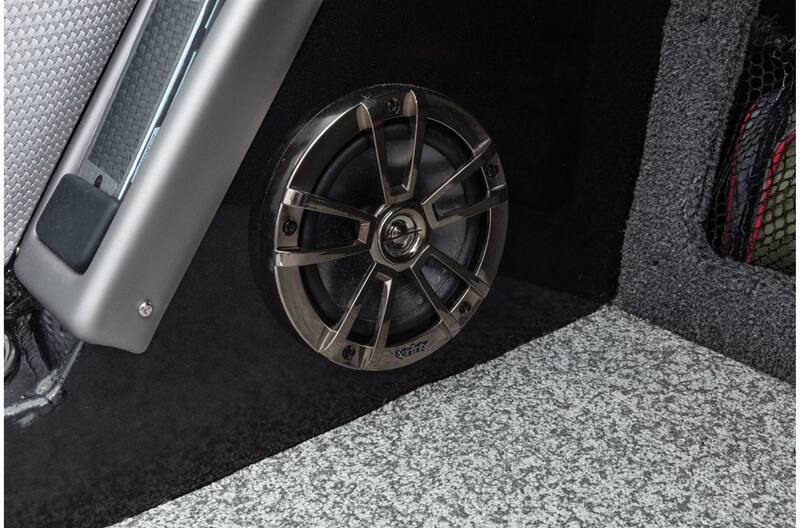 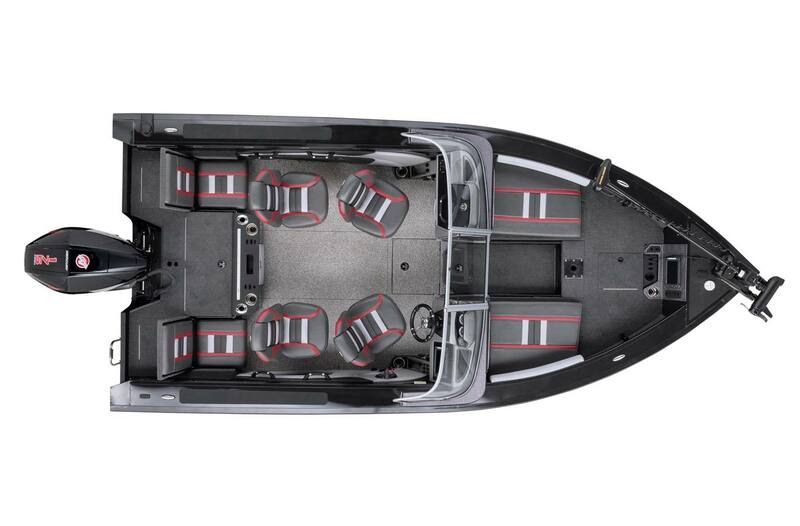 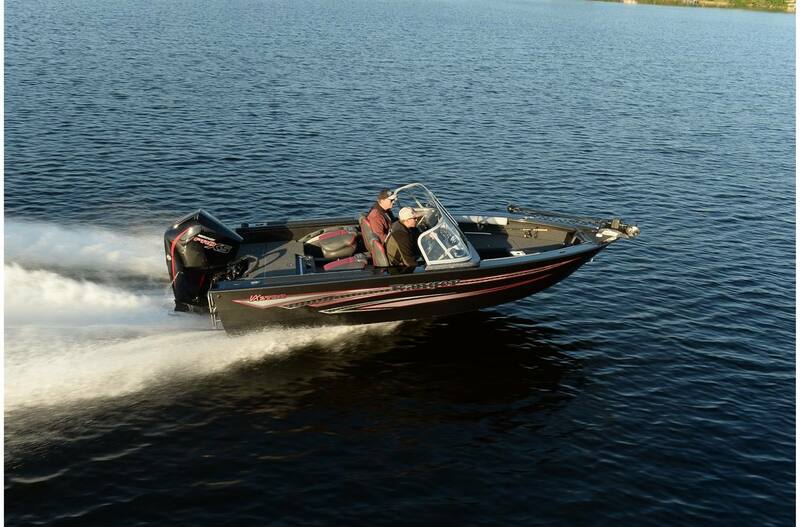 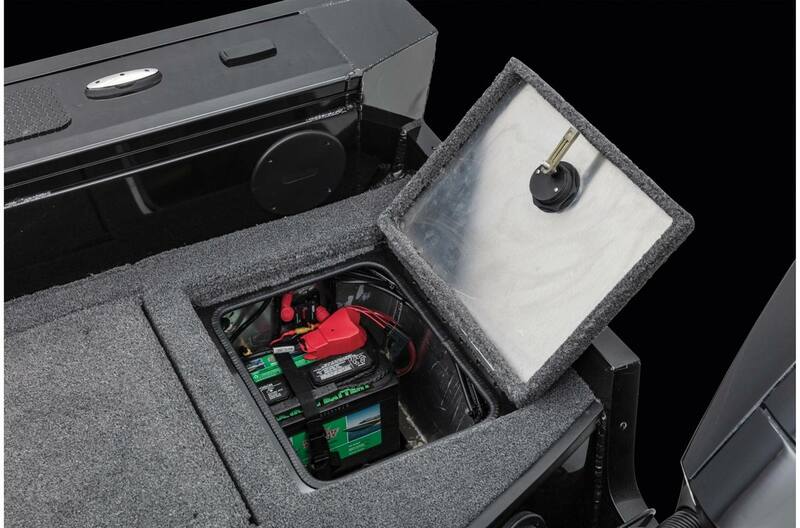 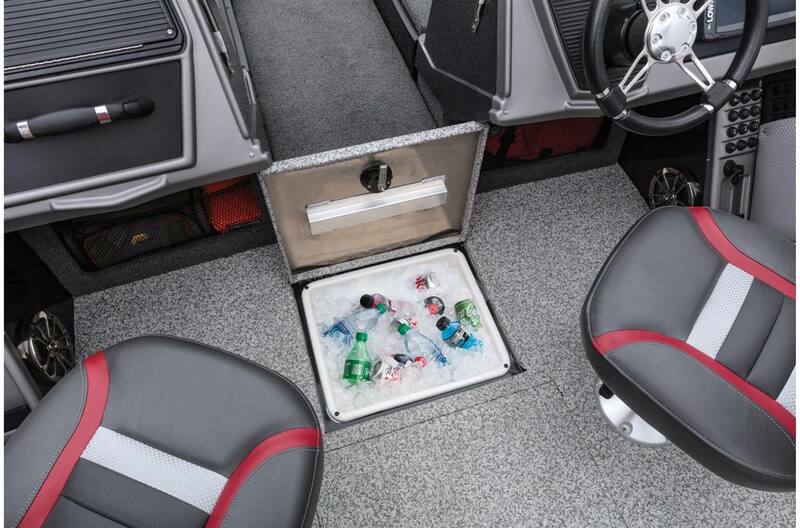 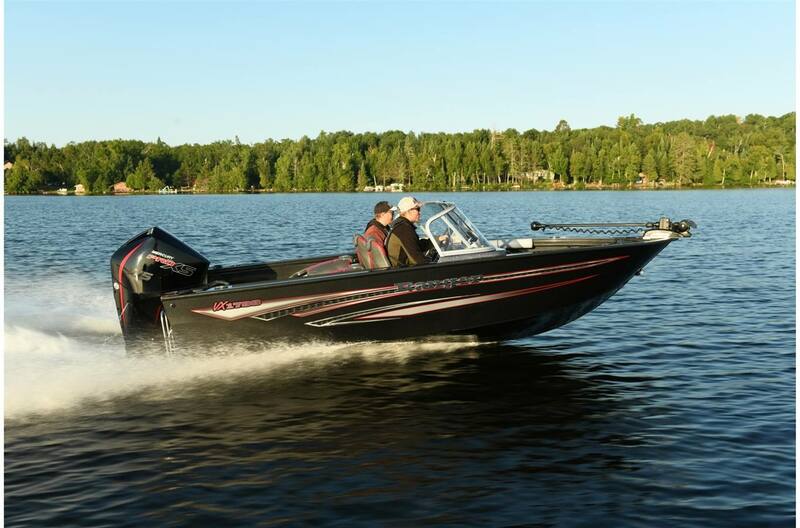 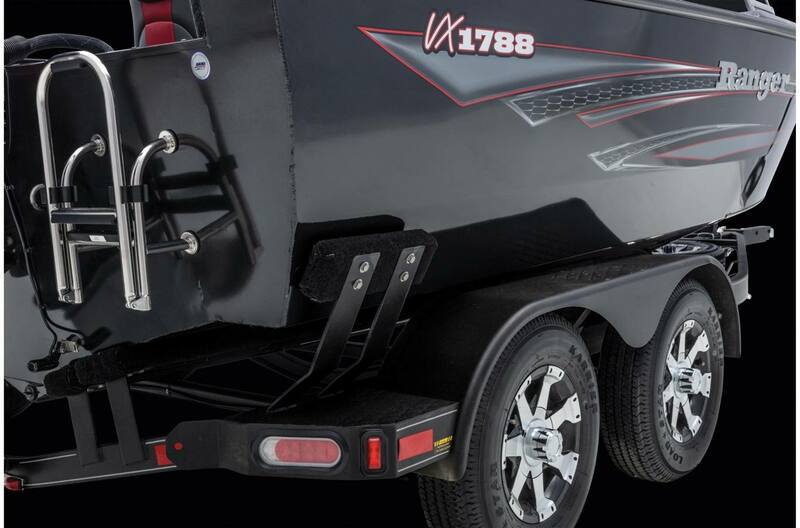 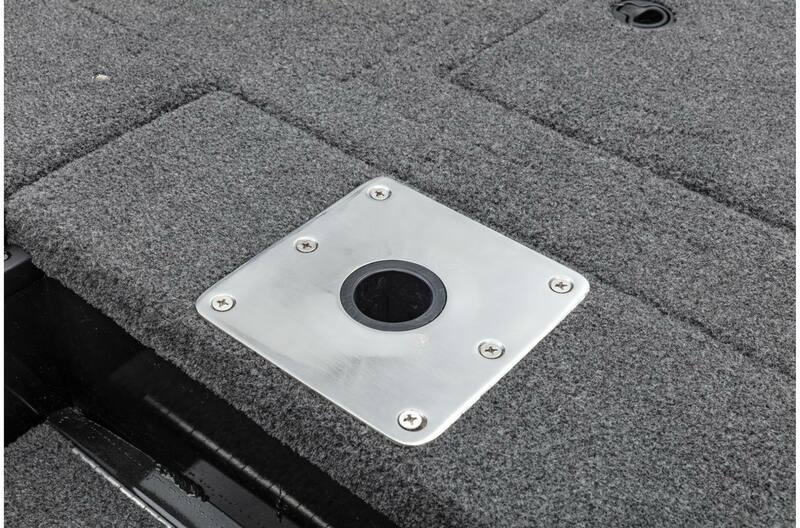 Every inch of the VX1788WT is designed for convenience and utility, with ingenuity from the rear jump seats with concealed storage to the the in-floor cooler and oversized storages and baitwell in the front deck. 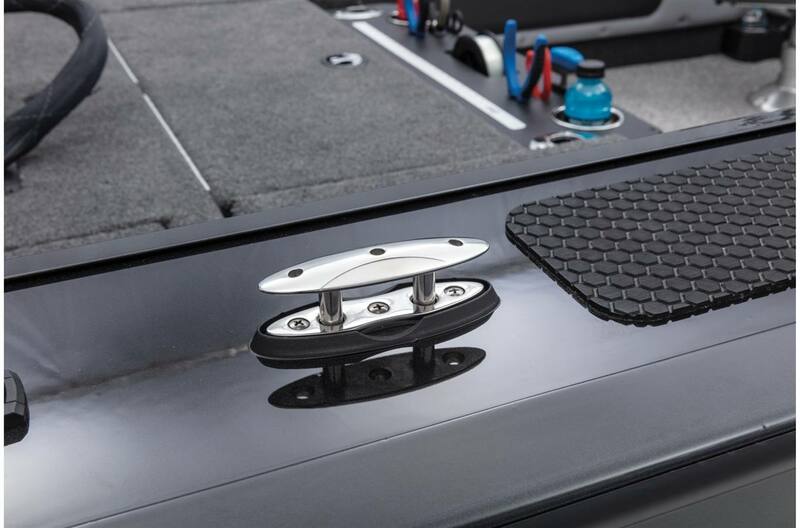 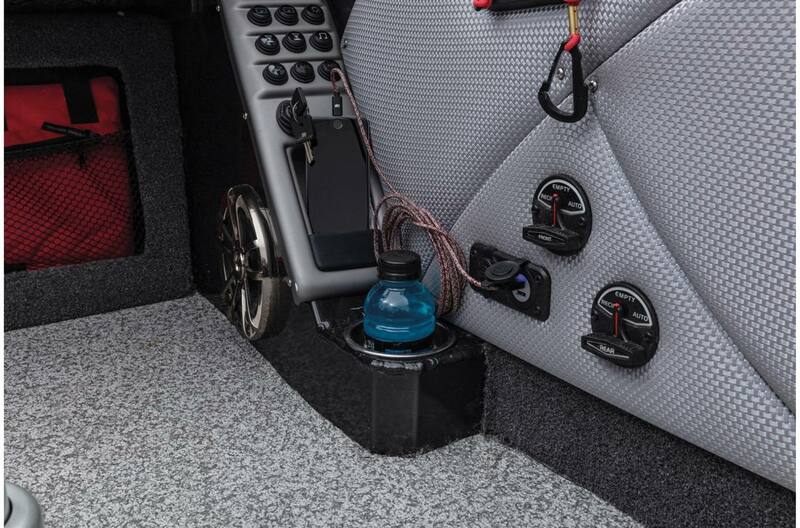 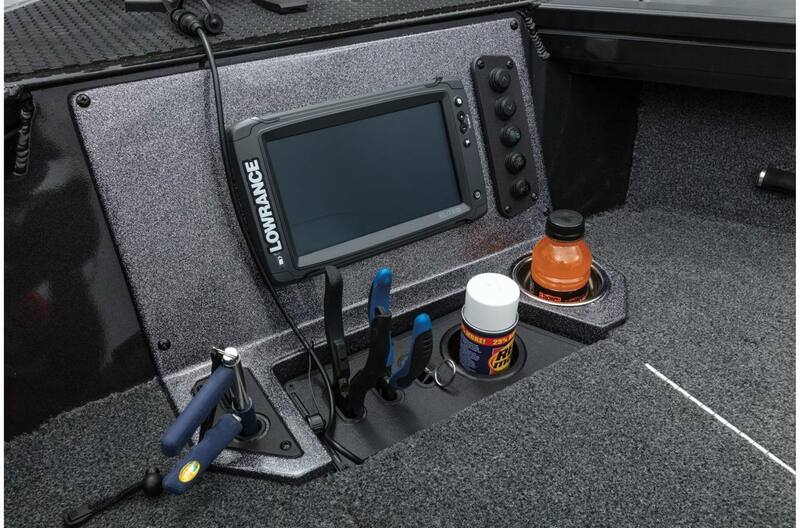 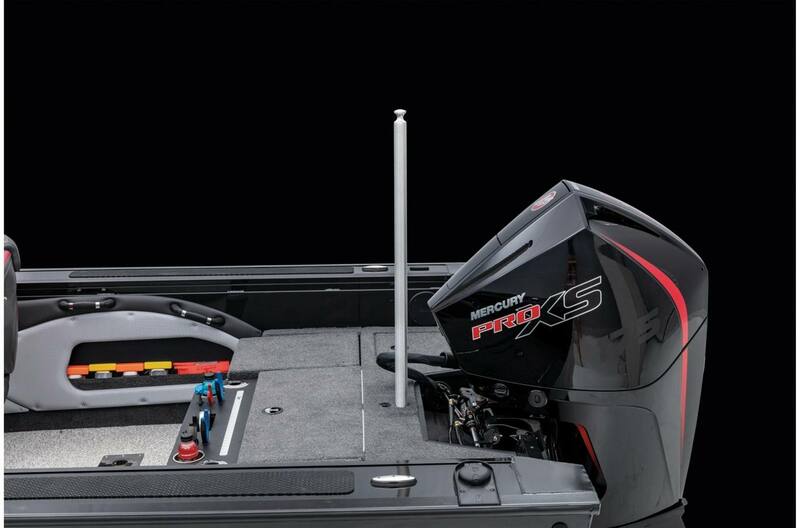 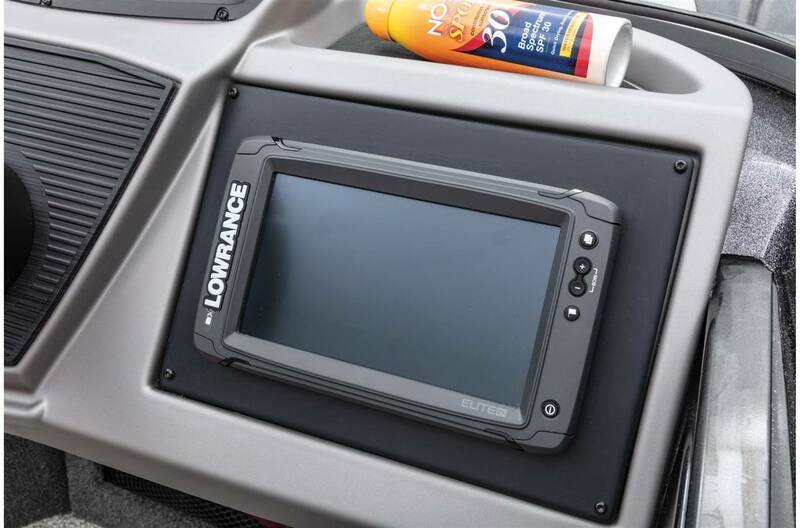 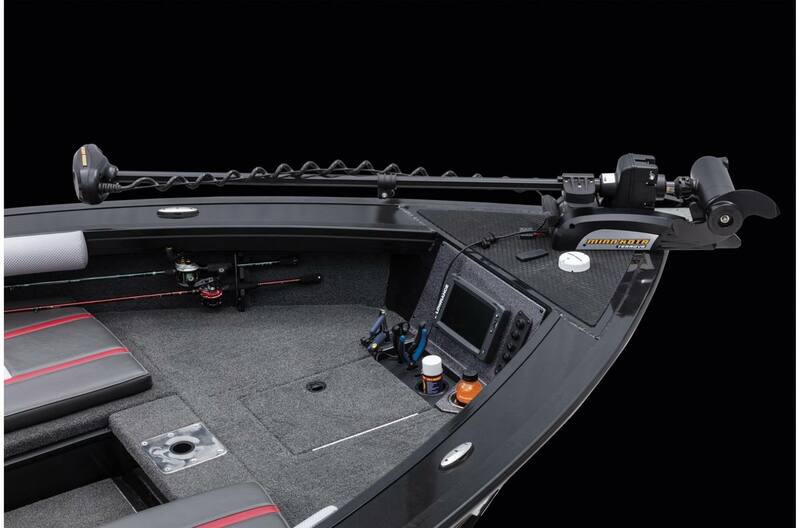 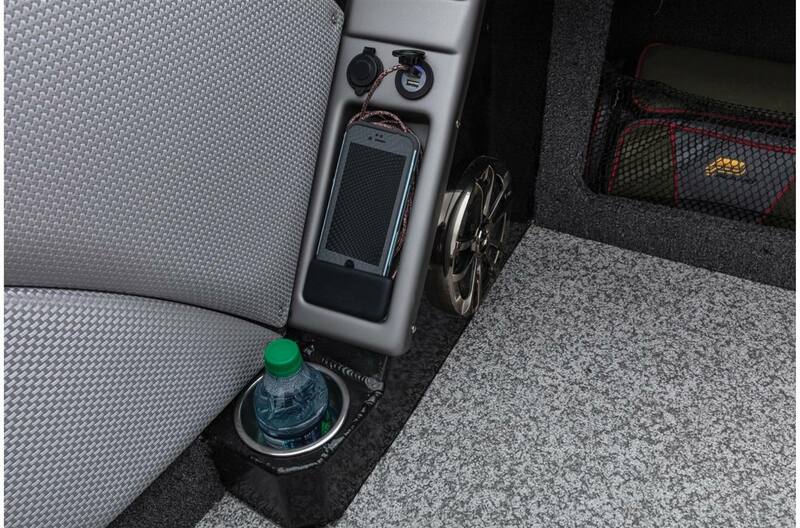 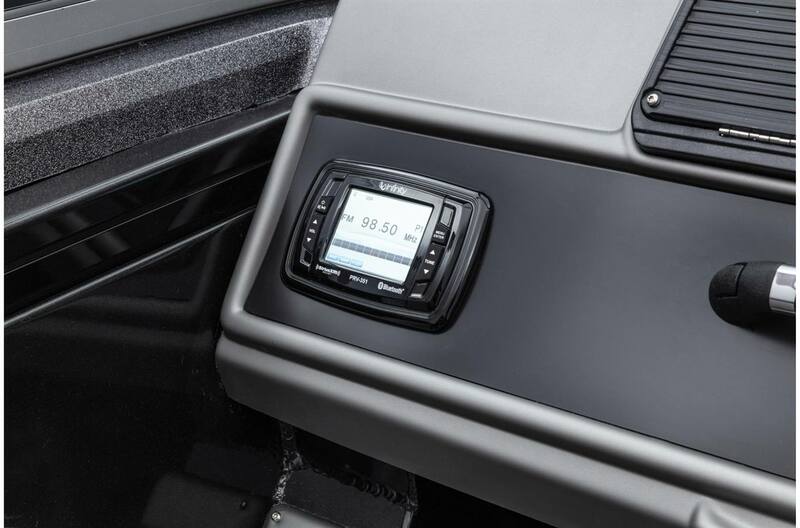 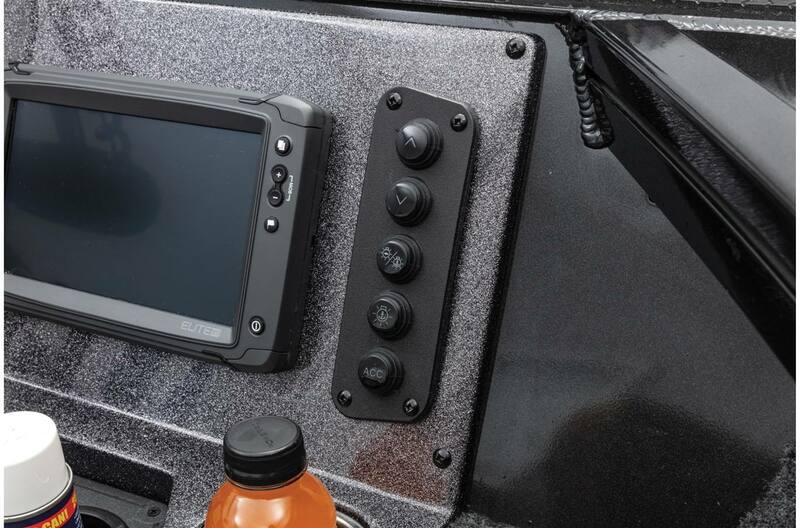 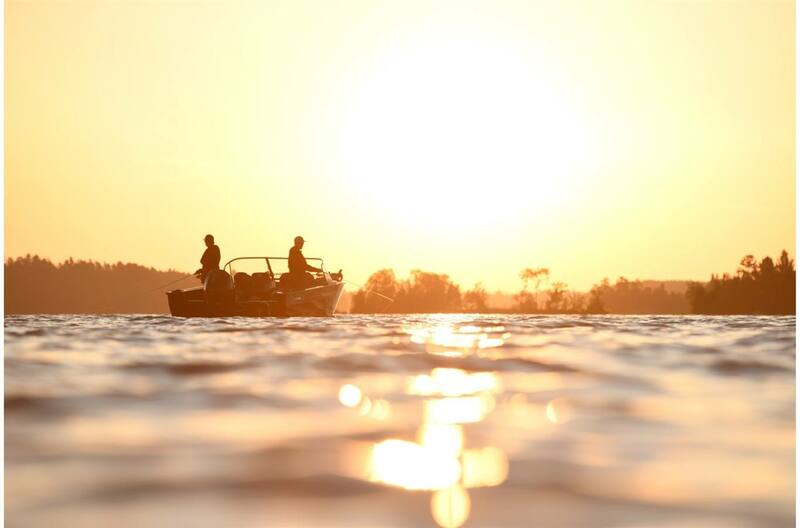 This rig is brimming with angling prowess thanks to standard Lowrance® electronics and Minn Kota® trolling motor with storage up front to stow the pedal when not in use. 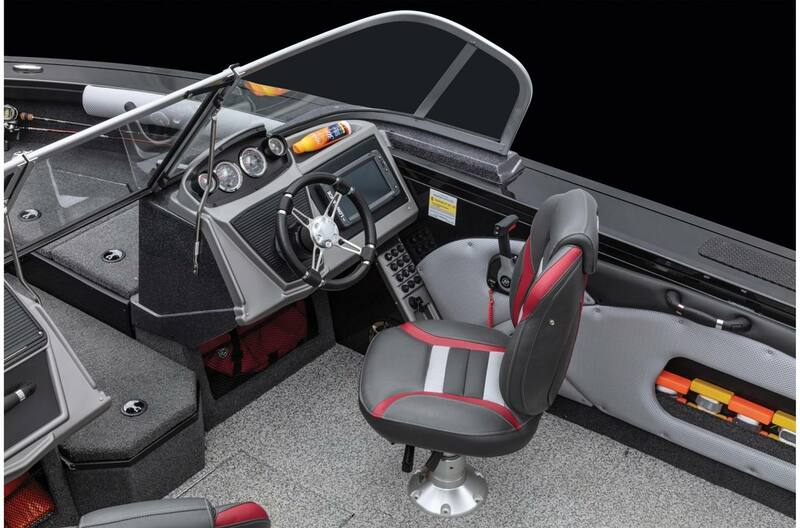 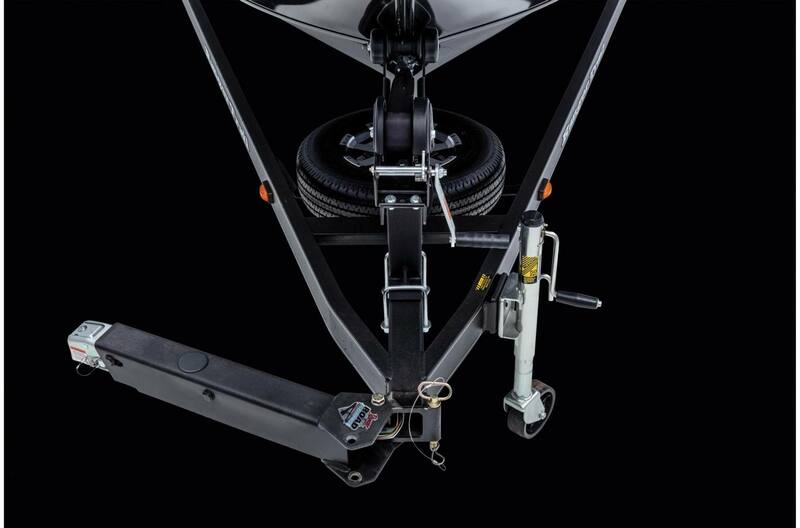 Smooth hydraulic steering delivers commanding control over the foam-filled and all-welded hull while a deck extension offers a large, solid platform up front. 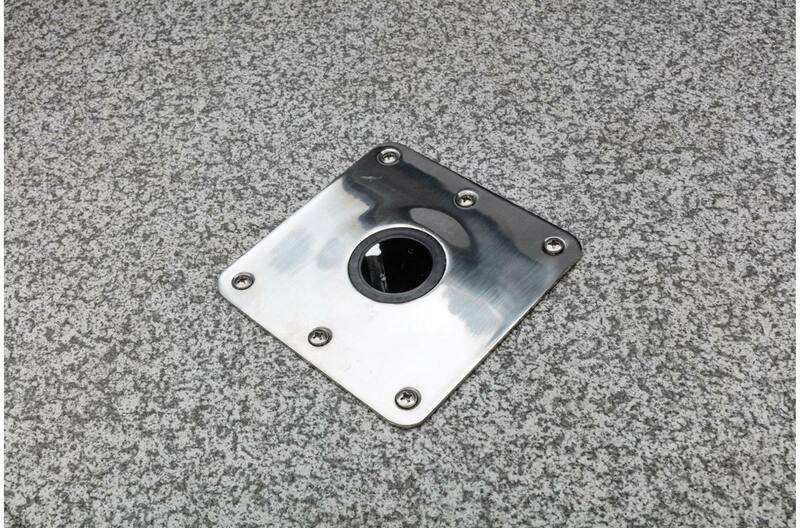 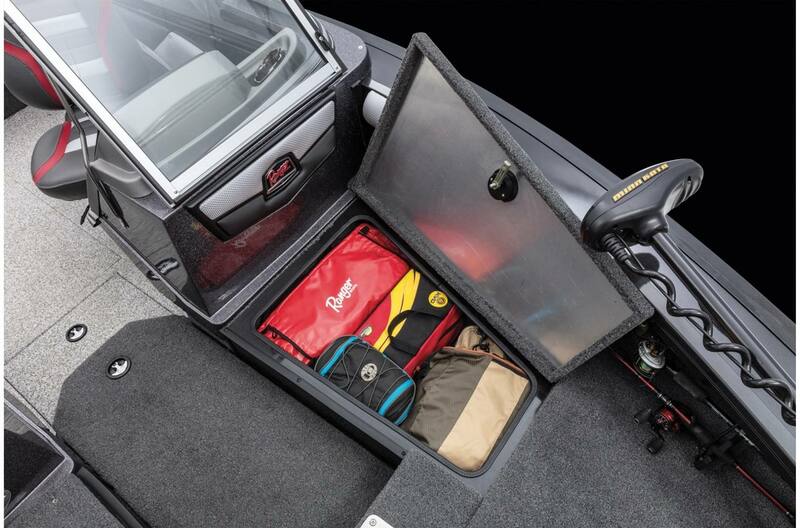 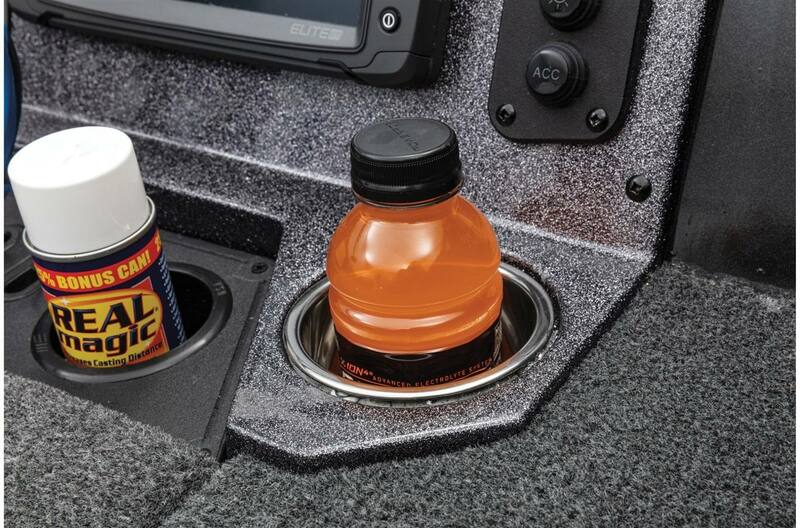 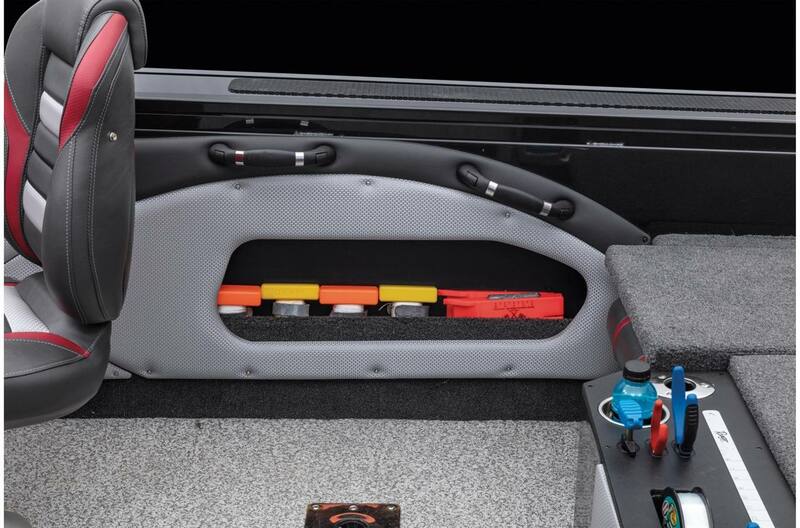 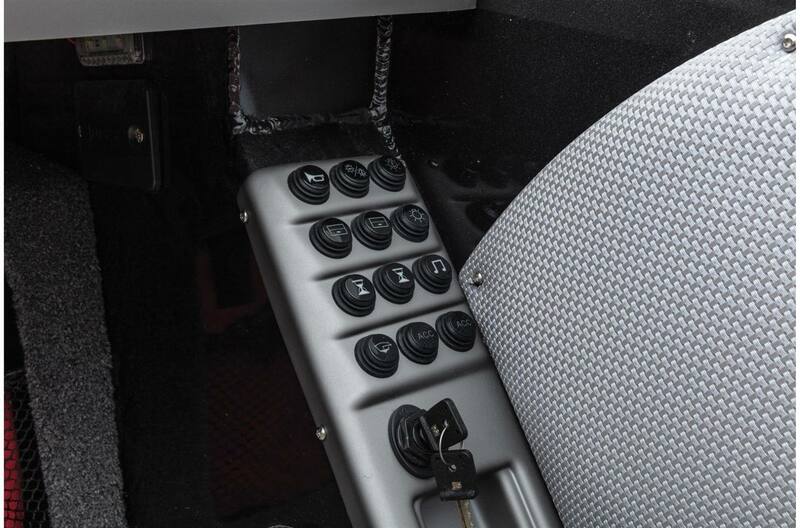 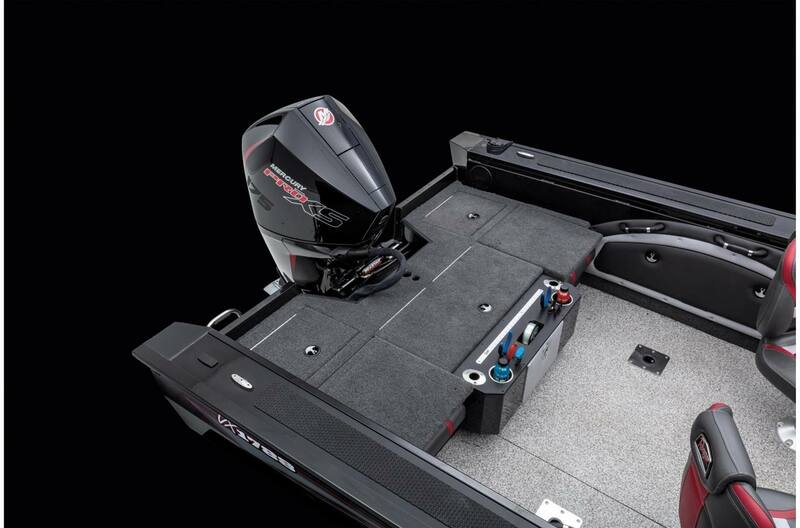 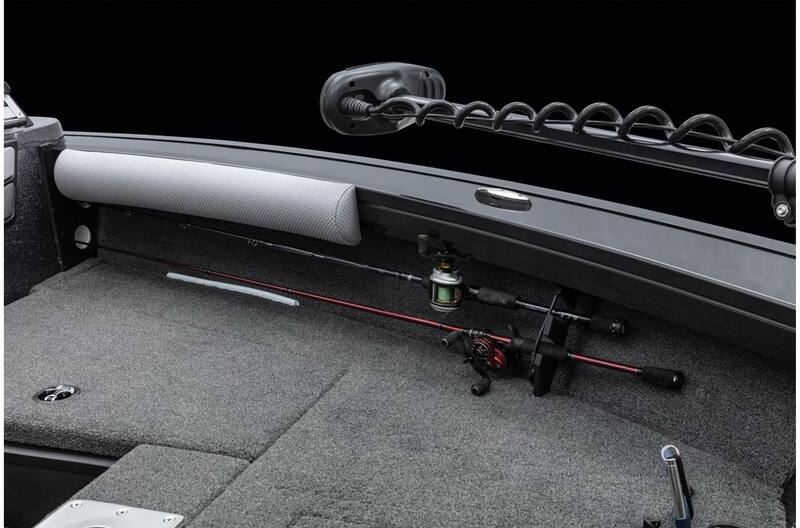 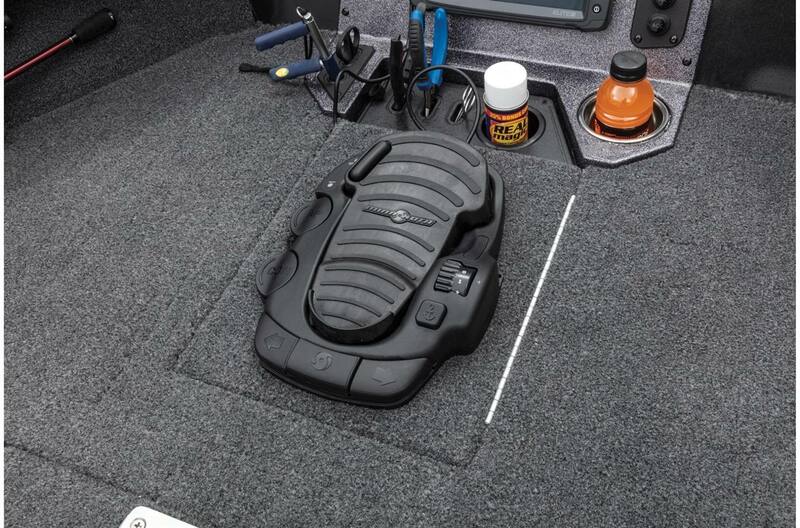 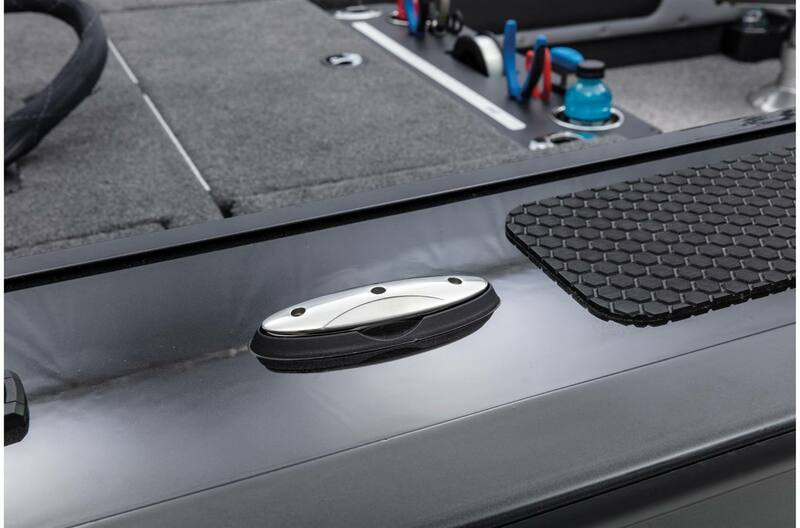 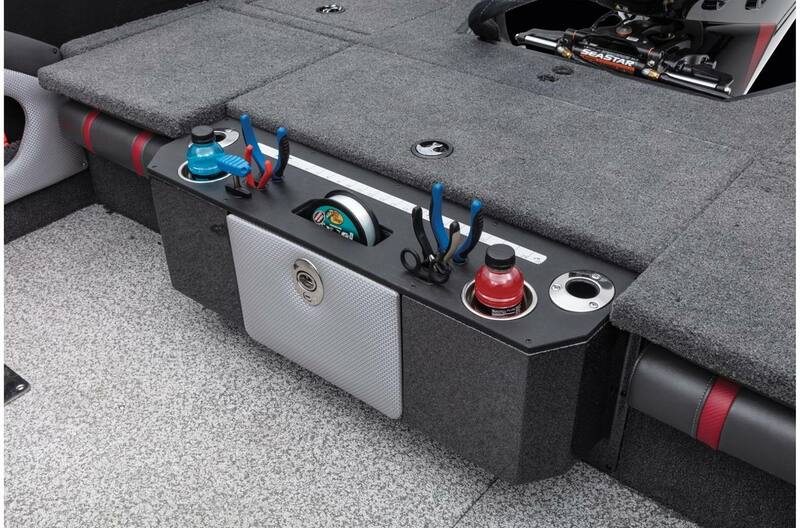 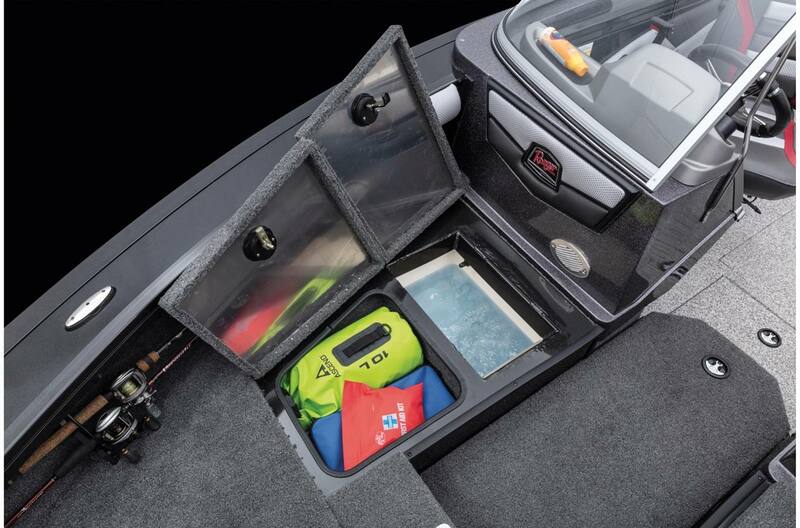 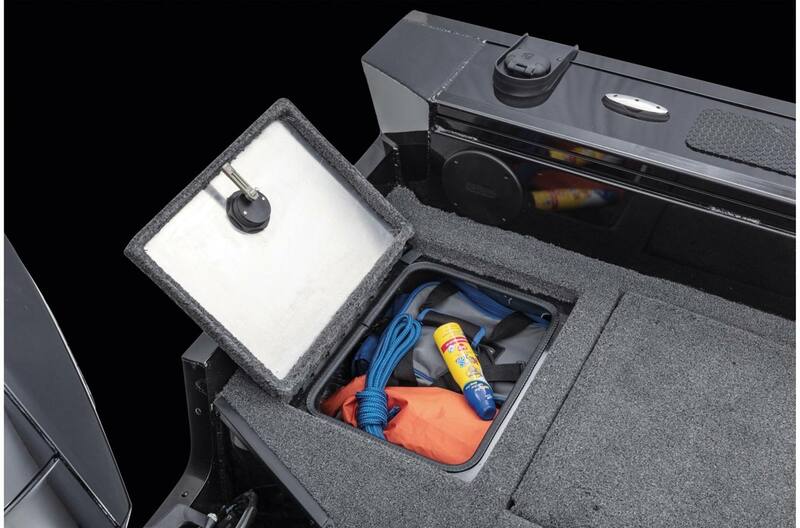 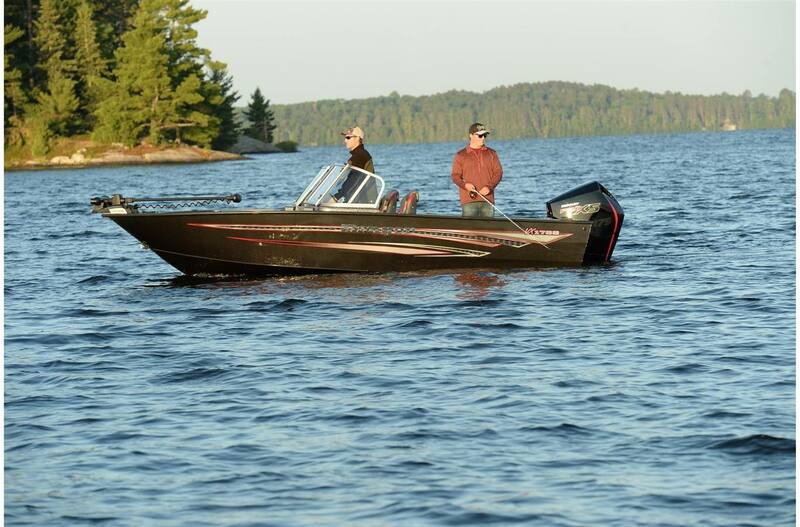 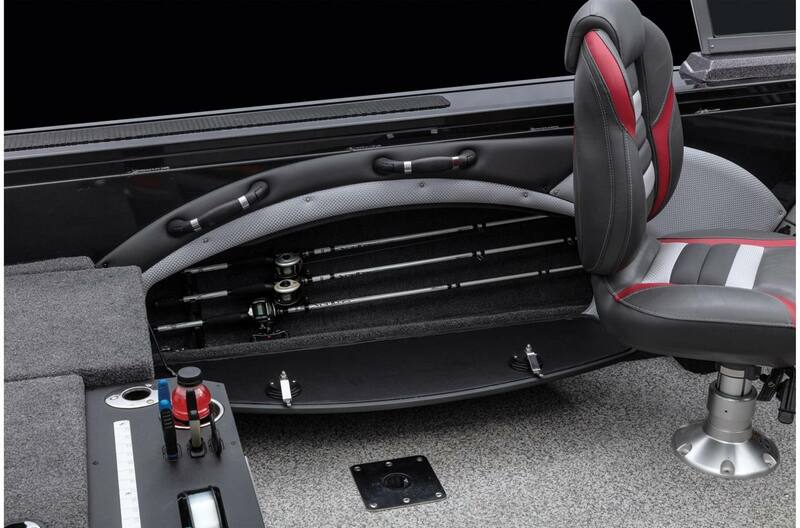 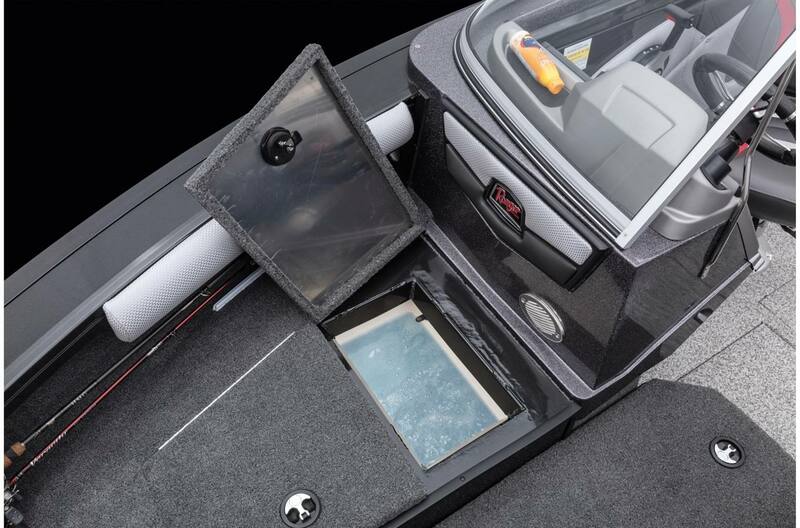 Storage options are everywhere you look, proving the VX1788WT is Built For Big Water, Big Fish And Big Families. 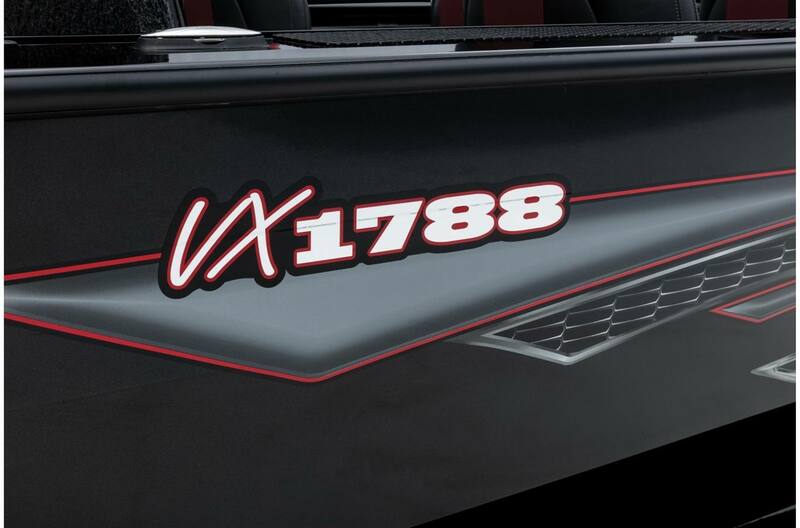 Hull Length: 18 ft. 2 in. 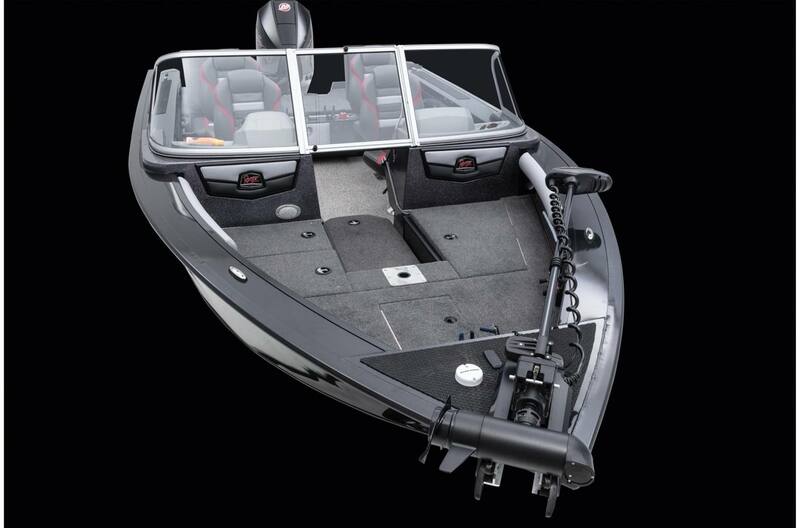 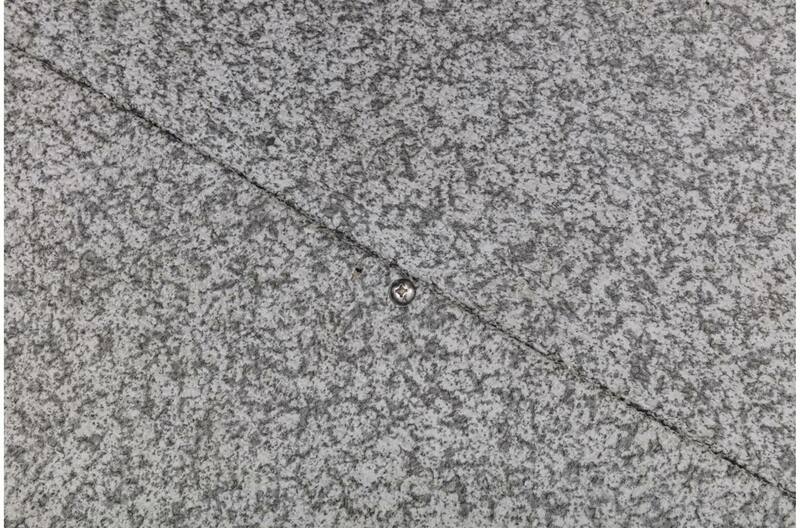 Approximate Boat Weight: 1950 lb. 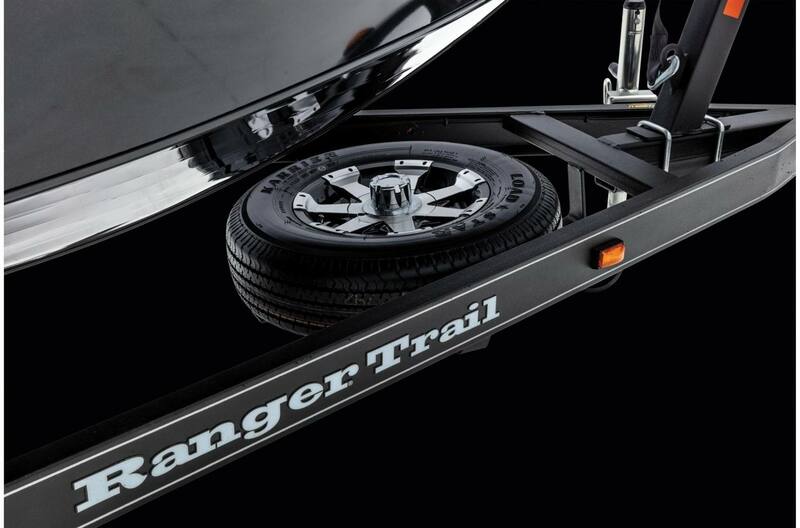 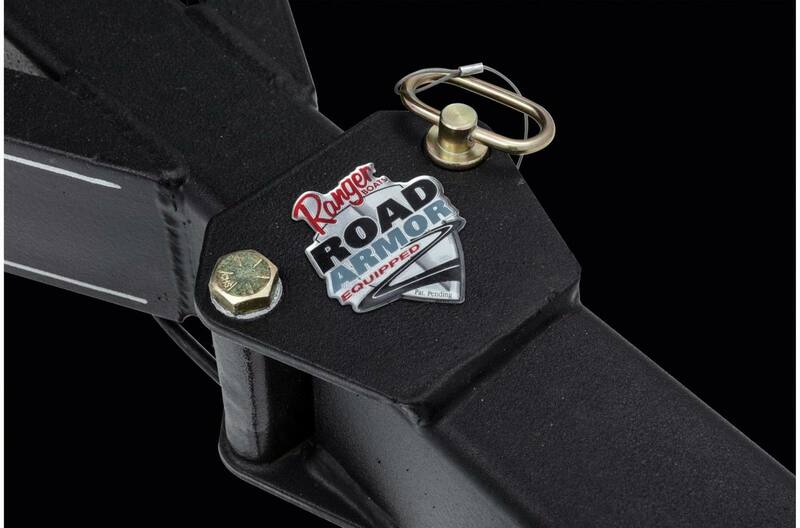 Single Axle Trailer GVWR: 4200 lb. 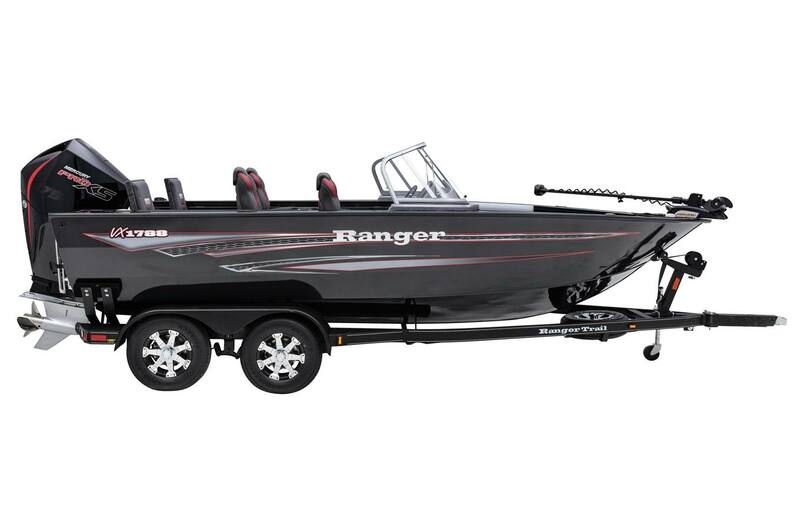 Approximate Length On Trailer w/ Motor Down (May vary with engine model and set-back plate): 23 ft. 10 in. 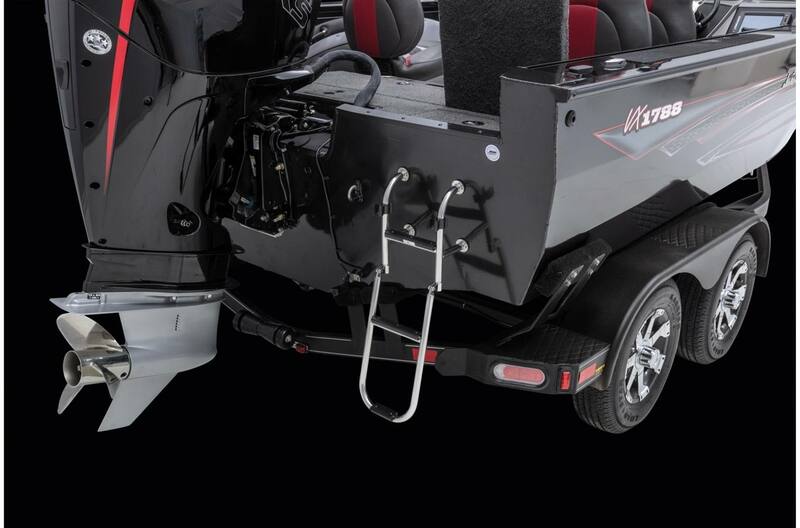 Approx Length On Trailer w/Motor Down/Swing Tongue Open (May vary with engine model/set-back plate): 21 ft. 9 in.